The Virtual PAF Neck is another one of those discontinued DiMarzio humbuckers. 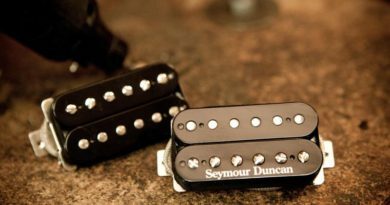 Like the DP197 Virtual PAF and the DP214 Virtual Hot PAF, it is in demand with many DiMarzio pickup enthusiasts. It’s also on the petition at DiMarzioForum to be brought back. 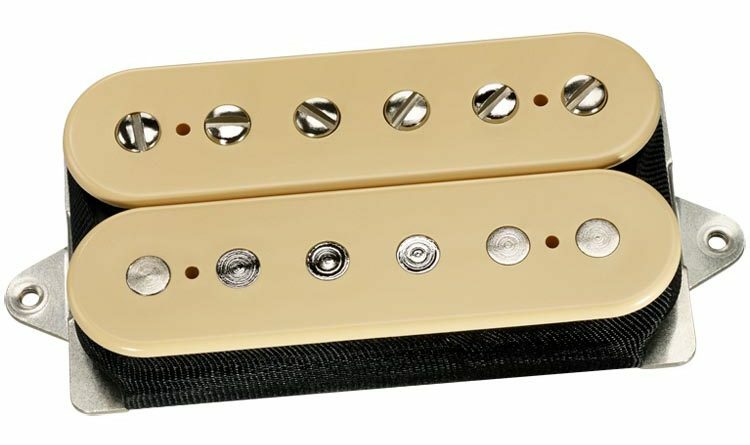 In the lack of access to the Virtual PAF and the Virtual Hot PAF, DiMarzio suggests using the DP223 PAF 36th Anniversary Bridge. The claims of them being identical are considered a little suspect among fans of the Virtual PAF line. I tend to agree, in that I’m not hearing the 36th Bridge being close enough to be a replacement for those bridge pickup options. 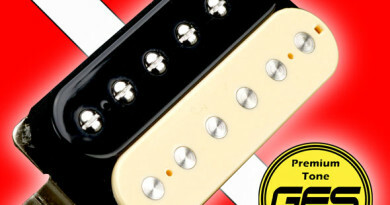 Considering that, DiMarzio suggests that the DP103 PAF 36th Anniversary is a replacement for the Virtual PAF Neck. Are they close enough to be used as the same? Let’s take a peek. For this evaluation, I have the Virtual PAF Neck paired with the Virtual Hot PAF in the bridge. Each pickup is wired to it’s own switch for series/split/parallel. Laying down on a dirty amp setting, and I’m hearing your basic sort of aftermarket PAF offering. A little full in the lows. A bit more push in the mid-mids and upper-mids. The Virtual PAF sings a little more on the higher notes, which is to be expected. An overall smoother attack. 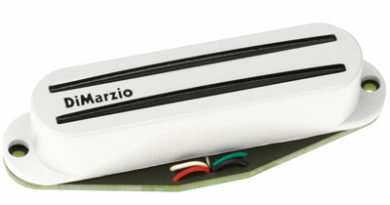 Generally speaking, that has a lot to do with DiMarzio’s “airbucker” technology. When it comes to airbuckers, a more subtle picking technique reveals a more atmospheric and uncluttered character. A precise and deliberate right hand results in a more fluid vibe. If you are a bit of a tinkerer, you can de-air it. Imagine de-airing being akin to putting a fully charged magnet in place of a degaussed one. Clean amp settings are where the Virtual PAF Neck really comes to life for me. Going through the different wiring options gives voicings that span from warm and full to glassy and clean to snappy and chimey. Putting both pickups on a split selection and moving to the middle in-between position is like sonic bliss. Sorry, gentle readers. 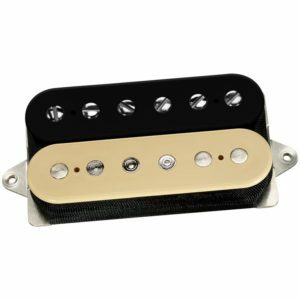 I was not able to find any official DiMarzio demo videos of the Virtual PAF Neck. They stopped making these about 10 years ago, so it appears there is no perceived need to detail this crowd favorite. For this week’s visual segment, here’s R2D2 laying down some wicked jams. But I do have some specs. I’ll also throw down on the PAF 36th Anniversary for comparative purposes. You might be wondering how that translates to in the realm of sound. Outside of the output level, the Virtual PAF Neck and the PAF 36th Anniversary are close enough to not worry about going to the trouble of tracking down the DP196. I can lay the graphs of each from my meter on top of each other and they are super scary close. Just call it a day. The bridge models, not so much. But if you want to be the guy that has to have the matching set, definitely go for it. 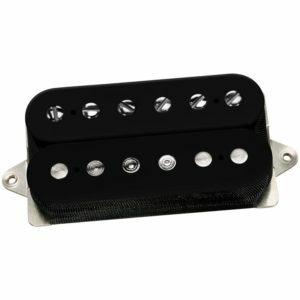 For reference, this DiMarzio DP196 Virtual PAF Neck humbucker pickup evaluation was conducted with a Fractal Axe-Fx II XL+ featuring Celestion Impluse Responses and Fractal MFC-101 MIDI Foot Controller. Real cabs used were Marshall 1960B cabs loaded with Celestion G12T-75s, Vintage 30s and G12M Greenbacks.